Debut single from Leeds’ post-punks The Lost Souls promises exciting things. Sophie Luchinsky listens in. This is The Lost Souls’ first single and with six more songs recorded and two remixes there’s enough material for another four track single in the spring and a debut album release in the autumn. These four tracks – Johnny Ain’t Coming, Over You, So Far Away and Satellite – were released in October and recorded at the Czar Street Studio Leeds between June and September 2014. Johnny Ain’t Coming, a great song with a great video, was produced by Martin Alyward – drummer in The Expelaires. It’s melodic with a unique and mysterious guitar sound that makes you want to listen to it over and over again. Johnny Ain’t Coming is about World War I and the slaughter of the young soldiers on all sides who enthusiastically joined the army at the start of the war without realising what they were letting themselves in for, many millions never making it back home. The end result tells the story of the song perfectly. So Far Away is about life’s struggles, with harmonic guitar chords and exhilarating guitar solos. Satellite is another song written by Adrian and a tribute to Lou Reed with a great mix of a fantastic guitar riffs and pleasant keyboards in the background. 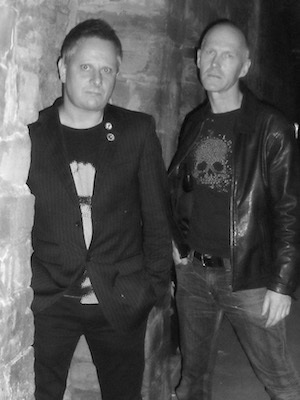 The Lost Souls are regulars on the the Leeds, Bradford and York gig circuits but they’re looking to broaden out around the UK and into Europe. They’re at The Pack Horse in Leeds on 25th January with Joyhaus and local punk band Xelerators. Later they will play with Salvation and Expelaires. The new EP out around Easter will feature the songs Despair, Losing is Easy, Say I Will and Goodbye. The Lost Souls can be found on Facebook and their Soundcloud is here. All words by Sophie Luchinsky. You can find more of Sophie’s work for on Louder Than War at her authors archive. the keyboards, / POLTERGEIST( bunnymen ) Will Sergeant, Les Pattinson. I hope they go far!